Draft: 2012, Miami Marlins, 8th rd. Andrew Paul Steckenrider...played in 2008 AFLAC All-American Game after being named an AFLAC, Rawlings, and Under Armour All-American while at Greater Atlanta Christian School in Norcross, Georgia. In first full MLB season, went 4-4 with 3.90 ERA (64.2 ip/28 er) in a career-high 71 games; also set career highs in wins, innings pitched and strikeouts (74)...His four wins in relief ranked tied for 18th among National League relievers...Ranked tied for 14th among NL relievers with 71 appearances...Ranked tied for 17th among NL relievers with 74 strikeouts...Led team and ranked tied for 16th among NL relievers with 19 holds...Opened season with 16 scoreless appearances in 17 games (1.08 era; 16.2 ip/2 er); did not allow a run in first nine games this season (8.2 ip), while holding opponents to .143 average...Did not allow a run in 14 appearances in June to become the first pitcher in Club history to appear in 14-or-more games in a month without allowing a run...Joined teammate Kyle Barraclough as one of five National League pitchers in June to appear in 10-plus games and not allow a run...His .146 opponents' average for the month of June ranked seventh in the NL (min. 10 GP)...Picked up first save of the season, and second save of his career, on June 16 at Baltimore (other, Sept. 2, 2017 vs. Philadelphia)...Had a career-long 19.2 scoreless-innings streak snapped on July 9 vs. Milwaukee...Converted his fifth and final save on Sept. 22 vs. the Reds; converted all three save opportunities in the month of September...Was 3-1, 3.38 (42.2/16) in 46 first-half appearances; owned 1-3, 4.91 (22.0/12) marks in 25 games since the All-Star break. Split sixth professional season between Triple-A New Orleans and Miami. ..In 26 games with Baby Cakes, went 0-1 with 1.62 ERA (33.1 ip/6 er), recording 44 strikeouts to just eight walks...In four stints with Marlins, covering 37 appearances, had 1-1 record with one save and 2.34 ERA (34.2/9)...Over first 16 games with New Orleans, went 2-for-2 in save opportunities to go with a 1.25 ERA (21.2/3). Recorded 2.0 innings in each of first four appearances of season, and six times over first 16 games...Named Marlins' Minor League Pitcher of the Month for May, owning no record with a 0.82 ERA (11.0/1) and two saves (two chances) over eight games...Recalled for first time on May 23 and made Major League debut on May 24 at Oakland, allowing one hit and striking out one in 1.0 scoreless inning. Optioned back to Triple-A following the game...Shuttled between New Orleans and Miami two times in June and July before being recalled for the final time on July 26...On July 15 vs. Dodgers, tossed career-high 2.0 innings while recording career-high four strikeouts...Earned first MLB win on July 17 vs. Philadelphia with a perfect 10th inning (Dee Gordon walkoff single in 10th)...Tossed 8.2 consecutive scoreless innings from August 1-18, marking season-long streak...Worked 1.1 innings on September 2 vs. Philadelphia to earn first MLB save...Among NL rookie relievers, ranked fourth in opponent average (.227) and seventh in strikeouts (54). Of all NL rookie relievers with a minimum of 20 games pitched, ranked third in ERA behind Hoby Milner (2.01) and Josh Hader (2.08). Combined to go 1-1 with 2.08 ERA (52.0 ip/12 er) in career-high 40 appearances for Single-A Jupiter (6 outings), Double-A Jacksonville (24), and Triple-A New Orleans (10)...In second appearance for Jupiter, struck out season-high six batters in 2.0 innings on April 11 at Lakeland; earned first save of season (second career). Spent April 19-May 7 on seven-day disabled list (sprained right ankle); was on seven-day DL again from August 25-31...Held opponents scoreless in all six outings for Jupiter (10.0 ip, 2 h, 2 bb, 17 so) before being promoted to Jacksonville on May 11...Finished stint with Jacksonville on 18.0-inning scoreless streak, allowing three hits across final 13 appearances...Named Marlins Organizational Pitcher of the Month for June; went 0-0, 2.19 (12.1/3) with one save and 17 strikeouts in 10 outings...Converted all seven save opportunities with New Orleans, including six consecutive appearances from August 5-20...Finished second among Marlins' minor leaguers with 14 saves overall...Played for Mesa Solar Sox in Arizona Fall League, going 2-1, 3.46 (13.0/5) and 3-for-4 in save chances across 10 outings. Inbox: Will Realmuto be with Marlins in '19? July 26, 2017 Miami Marlins recalled RHP Drew Steckenrider from New Orleans Baby Cakes. July 18, 2017 Miami Marlins optioned RHP Drew Steckenrider to New Orleans Baby Cakes. July 4, 2017 Miami Marlins recalled Drew Steckenrider from New Orleans Baby Cakes. June 19, 2017 Miami Marlins optioned RHP Drew Steckenrider to New Orleans Baby Cakes. June 10, 2017 Miami Marlins recalled Drew Steckenrider from New Orleans Baby Cakes. May 25, 2017 Miami Marlins optioned RHP Drew Steckenrider to New Orleans Baby Cakes. May 23, 2017 Miami Marlins recalled Drew Steckenrider from New Orleans Baby Cakes. March 17, 2017 Miami Marlins optioned RHP Drew Steckenrider to New Orleans Baby Cakes. November 18, 2016 Miami Marlins selected the contract of Drew Steckenrider from New Orleans Baby Cakes. August 31, 2016 New Orleans Zephyrs activated RHP Drew Steckenrider from the 7-day disabled list. August 25, 2016 New Orleans Zephyrs placed RHP Drew Steckenrider on the 7-day disabled list. July 30, 2016 RHP Drew Steckenrider assigned to New Orleans Zephyrs from Jacksonville Suns. May 11, 2016 RHP Drew Steckenrider assigned to Jacksonville Suns from Jupiter Hammerheads. May 7, 2016 Jupiter Hammerheads activated RHP Drew Steckenrider from the 7-day disabled list. April 19, 2016 Jupiter Hammerheads placed RHP Drew Steckenrider on the 7-day disabled list. Sprained right ankle. March 4, 2016 RHP Drew Steckenrider assigned to Miami Marlins. June 27, 2015 RHP Drew Steckenrider assigned to Jupiter Hammerheads from Greensboro Grasshoppers. April 30, 2015 RHP Drew Steckenrider assigned to Greensboro Grasshoppers from Batavia Muckdogs. April 6, 2015 RHP Drew Steckenrider assigned to Batavia Muckdogs from Greensboro Grasshoppers. September 18, 2014 Greensboro Grasshoppers activated RHP Drew Steckenrider from the 7-day disabled list. June 28, 2014 Greensboro Grasshoppers sent RHP Drew Steckenrider on a rehab assignment to GCL Marlins. March 31, 2014 Greensboro Grasshoppers placed RHP Drew Steckenrider on the 7-day disabled list. September 5, 2013 Greensboro Grasshoppers activated RHP Drew Steckenrider from the 7-day disabled list. March 30, 2013 RHP Drew Steckenrider assigned to Greensboro Grasshoppers from Batavia Muckdogs. July 16, 2012 Jamestown Jammers activated RHP Drew Steckenrider from the temporarily inactive list. 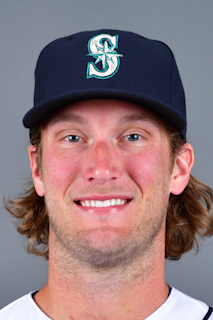 June 23, 2012 Jamestown Jammers placed RHP Drew Steckenrider on the temporarily inactive list. June 17, 2012 RHP Drew Steckenrider assigned to Jamestown Jammers. June 7, 2012 Miami Marlins signed RHP Drew Steckenrider.